This was one of the many day trips spent at the Golden Gate National Recreation Area. Our first stop of the day was the Marin Headlands area. The Golden Gate NRA comprises of many areas that span from just north of San Francisco down to Pacifica and other places in San Mateo County. It is not one continuous piece of land but divided and scattered around the Bay Area. With attractions like Alcatraz ("The Rock"), Muir Woods National Monument, and areas in the Presidio, it's no wonder that Golden Gate NRA is the second most-visited NPS unit. 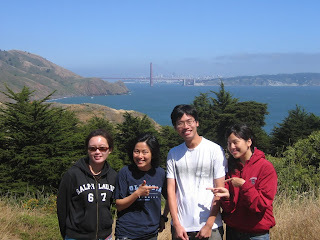 Also, Golden Gate NRA is a heaven for passport stamp collectors, with almost two dozen stamps available in the area. Not too bad eh? 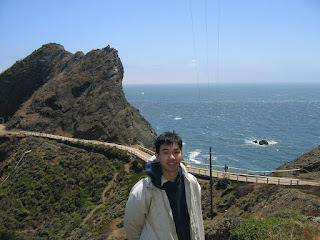 Marin Headlands is just north of San Francisco, on the other side of the Golden Gate Bridge. Being at a higher elevation, Marin Headlands provides gorgeous views of the San Francisco Bay Area and in my opinion, better views of the Golden Gate Bridge. I understand people wouldn't want to pay the toll upon returning to San Francisco, but the view you get at Marin Headlands is just simply stunning. Probably not necessarily worth the trip just by itself, coupled with another destination north of San Francisco will certainly be worth it. 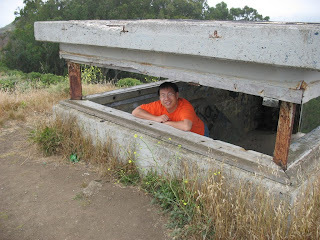 Being on a higher elevation also meant it had its strategic military purposes for defending the San Francisco Bay from potential hostile ships. Batteries and bunkers were built starting in the late 19th century and they were in use and fortified throughout the two World Wars. Being apparent that there was no further necessary use for these guns and that they started to become outdated technology, the guns were removed and the sites decommissioned following the second World War. 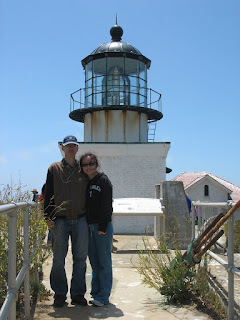 Those interested in lighthouses should make the trip to Point Bonita Lighthouse. Built in 1855, it's the third lighthouse built on the West Coast. Originally built at an elevation that was too high, it had to be moved to another location because the notorious San Francisco fog would block the lighthouse signals and render it pretty much useless. What followed was an impressive engineering feat to carve out a 36m tunnel by hand and move the lighthouse on a very tricky location, completed in 1877. Also, did I mention a suspension bridge at the end of the trail just to get to it? As the lighthouse is still currently active, operated by the United States Coast Guard, visiting hours are on Saturday, Sunday, and Monday 12:30pm- 3:30pm, so plan ahead.